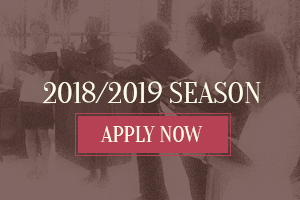 Welcome to a new season with Jubilee Chorus! Jubilee Chorus wishes to proclaim a message of hope, healing, and spiritual freedom through music and to empower God's people with the gifts of music and fellowship. HOW DO YOU KNOW IF THE JUBILEE CHORUS IS A GOOD FIT? You have a relationship with God and are seeking His grace and forgiveness. You are passionate about music and passionate about making music with others. You are seeking a Christian community that nurtures the development of musical skills and other God-given gifts. You are seeking a robust and diverse Christian fellowship. You have experience with singing, reading music, and musical performance and believe that seeking excellence in these areas draws you closer to God. We hope that you will consider Jubilee Chorus, where we combine our musical gifts, celebrate our diversity, and grow together in faith through that act of praising God and Christ, who is our Savior.